Students with attention-deficit/hyperactivity disorder benefit from these easy-to-implement strategies—and so do their peers. Teachers often come to the classroom with an unclear understanding of attention-deficit/hyperactivity disorder, and they are rarely provided with strategies that detail how to work with students who have been diagnosed with ADHD, even though such students make up an increasingly large number of their students—11 percent and growing as of 2011, according to data gathered by the Centers for Disease Control and Prevention. As a special education teacher and tutor who coaches struggling students (many with ADHD), I have found several classroom strategies to be effective. I often hear parents or other advocates urge teachers to accommodate students with ADHD by giving them a lengthy or indefinite amount of time to turn in assignments. This creates a situation where deadlines are unclear, yet most of the students with ADHD that I have worked with need a clear deadline to create the urgency and adrenaline necessary to complete the task. Provide deadlines: I teach students time management skills by breaking projects into chunks, each with a detailed description, rubric, and due date. For example, a research paper might have a separate due date for a topic, completed research, outline, rough draft, and final paper. I grade each step in the process, and each grade contributes to the final grade. This teaches students how to break up large projects to ensure timely completion. Time tasks: Timing tasks that could be rote and boring—like learning math facts and letter sounds, increasing reading fluency, and memorizing vocabulary—turns what could potentially be a tedious task into a game or competition with oneself. Timing is used not to create anxiety but to increase performance over time—students are never graded on timed activities and don’t share their scores. Instead they’re challenged to beat the clock and to do better than they did last time. Graphing scores as a visual reminder of progress helps students learn about goal setting and develop a growth mindset. Students with ADHD are often capable of focusing intensely on something they’re interested in. They can play video games or make their own YouTube videos for hours, but they need help connecting class content with their interests to achieve that focus. Engage students’ passions: My students are more engaged when they see that I’m passionate about a subject. We all want to know why we should learn something. Providing a hook to each lesson in the form of a story, game, or question gets students excited to figure out a problem. For example, when we learn about making inferences, I bring in an assortment of strange looking objects or pictures of objects viewed from strange angles. Students do a gallery walk and write down observations about the objects—facts like, “it is metal,” or “it is green.” They also list any prior knowledge they have. They use the facts and their prior knowledge to make inferences about what the objects are. This activity helps students have a more concrete basis for understanding how to make an inference when they’re reading. It also usually leads to interesting discussions on how prior knowledge can greatly impact understanding. Give students choices: Giving kids a choice in the books they read, activities they complete for a grade (visual art display, paper, slide or video presentation, blog, skit, podcast, etc. ), and the ways they learn a skill encourages participation. I’ve found that taking breaks results in more focus for all of my students, but especially those with ADHD. Use brain breaks: Students will take breaks anyway, so making breaks a reward is an easy way to keep them on task. I try to help them increase their focus to 15 to 25 minutes of working time, and after periods of concentration, they receive a short break. During the break, students can stretch, sharpen their pencils, get supplies, talk quietly to a friend, or rest. This timing method, sometimes called the Pomodoro Technique, helps students increase focus over time. Let students move: I find that I get more out of students if I give them a chance to dance, stretch, or exercise before they have to sit down and work quietly. This can be led by the teacher, a short video, or a student. Usually it’s brief and structured, like a game of Simon Says or a set of 10 jumping jacks and a few standing toe touches. It’s important to plan for transitions back to work—I flip the lights and use a hand signal. When I do this, students know to immediately return to their seats, mirror the hand signal, and be silent. Occasionally, I give out a reward to the first two students who are sitting attentively. I believe all students thrive when they know what to expect. For students with ADHD, having an orderly environment is essential. Have clear expectations: Establishing a routine that stays the same even when activities change makes children feel secure. Rules can be taught through an activity with an example and non-example or by acting them out. This strategy is also useful for highlighting age-appropriate social skills like how to listen when someone is presenting or how to determine the appropriate amount of personal space. Teach study skills explicitly: Students know they can Google facts, but teaching them how to learn creates relevance. Regardless of what subject is being taught, it’s possible to incorporate study skills lessons—how to take notes, read a textbook, or study. Students will need these skills in the future when they’re required to learn on their own. 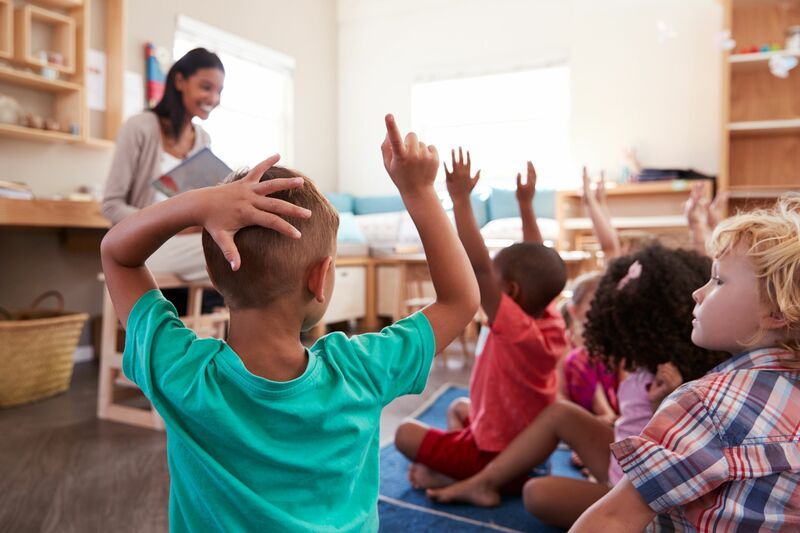 You may have noticed that these strategies will help not just students with ADHD—they’re useful for all students because they encourage the development of executive functions such as self-regulation. We rarely look at ADHD as an advantage, but I’ve found that having students with ADHD in my classroom challenges me to update the way I teach so that my curriculum is more versatile, interesting, and compatible with the skills all students will need in an increasingly fast-paced world.